Tears of Steel: Fourth Official Blender Movie Released! Blender movies have always amazed us all with its interesting little stories and sophisticated visual graphics. While Elephants Dream was of sci-fi kind with mind-bending ideas and graphics, Bug Buck Bunny was a light-hearted comedy. The third one, Sintel, also had splendid graphics to back-up its unique storyline. Tears of Steel is different though. It is not a full-fledged end-to-end animation movie per se like its predecessors. 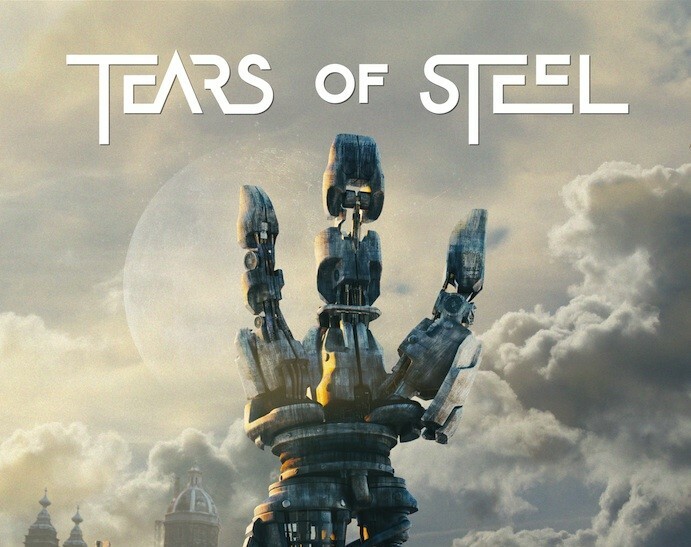 Tears of Steel is more like a normal movie with impressive visual effects. Blender is an open source 3D creation tool which is gaining acceptance around the world with every passing day. Blender made movies have been a rage among animation enthusiasts and normal folks all along. Tears of Steel is the fourth official Blender movie and it is already a big hit in YouTube. According to Blender Foundation, the movie was realized with crowd-funding by users of Blender. Target was to improve and test a completely open and free pipeline for visual effects in film. Watch the movie below. Even though the movie might feel a little lacking overall, especially when you compare it with the previous animated ones, one has to understand that this is Blender Foundation's first attempt at integrating CGI with real world movie making. And I think they have more than surpassed what they set out to achieve. What do you think?